This is a monthly blog by Executive Director Heather Moffat McCoy discussing news about the Museum and its role in the community. As a young undergraduate, I fell in love with science when I first learned to read rocks. There was something so amazing to me about being able to examine a cliff’s rocky layers and to use my knowledge of geology and paleontology to reconstruct the story within them. That revelation opened a whole new world to me—one brimming with stories to learn. Mountains told of tremendous uplift in their folds and faults. Fossils told of ancient oceans now far from any shore. Throughout its long history, our landscape has seen many changes, some dramatic, some minuscule; and the field of geology helps us to interpret those patterns and their underlying processes, thereby revealing the stories within. While our Museum often focuses on the biological aspects of natural history, we are also proud to showcase our region’s geologic history. Our permanent exhibit on the geology of Santa Cruz County introduces visitors to our region’s common rocks and fossils, such as the large sea cow discovered in Zayante. This month, we will focus on geology through a special new exhibit and several great programs. On Friday, October 6, we welcome the opening of the Rocks and Waves exhibit designed by Visiting Curator Frank Perry. 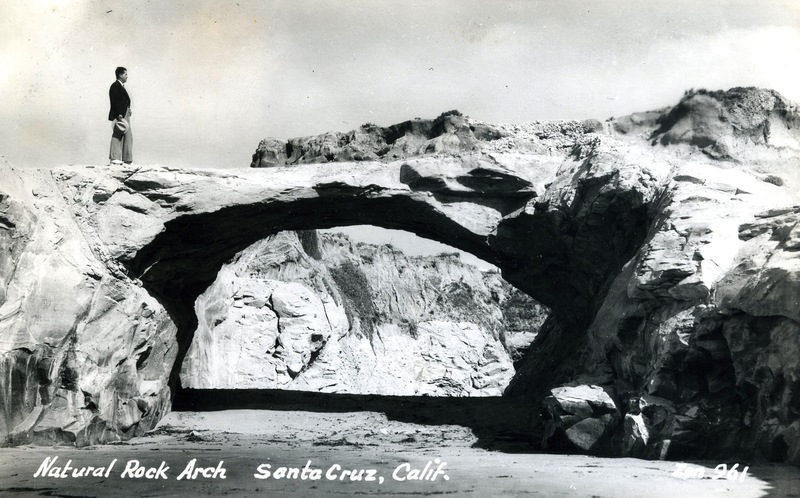 Open until February 4, the exhibit explores the natural bridges and arches that once were so prominent along West Cliff Drive, where now only a few remain. Geology lies at the heart of the story told through the exhibit’s historical photographs of our past iconic coastal features. Frank will give a special Naturalist Night talk on November 9 to discuss how our local cliffs have changed over the years and why. 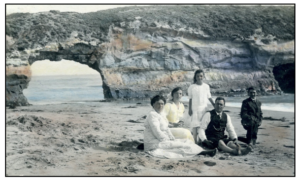 His talk also will explore how this new exhibit came together, starting in the early 1980s with a budding fascination of old photos featuring the coastline along West Cliff Drive. Geology also served as inspiration to the next speaker in our Rio Theatre Speaker Series, Dr. Kathryn Sullivan, the first American woman to walk in space and the only woman astronaut to explore the deep ocean in a submersible vessel. Dr. Sullivan graduated from UC Santa Cruz with honors in Earth Sciences and a focus on geology, later using that training to become a renowned oceanographer and astronaut. 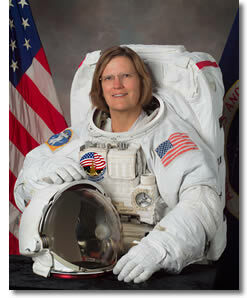 She will give a talk called “From the Sea to the Stars” at 7 p.m. October 11, and tickets are still available at santacruzmuseum.org. One of the inspirational figures in Dr. Sullivan’s early education was Dr. Gary Griggs, a coastal geologist who will introduce Dr. Sullivan at the Rio Theatre. He and Frank Perry were the first two recipients of the Laura Hecox Naturalist Award honoring our Museum’s founder and our mission to connect people with nature and inspire personal stewardship. We hope you will join us for the Kathryn Sullivan talk and check out the Rocks and Waves exhibit. Also, please stop by the Museum soon to see parts of our geology collection, including rocks, minerals and fossils specimens. I hope to see you soon at the Museum. As we share the exciting news about the next speaker in our Rio Theatre Series—former astronaut and NOAA administrator Dr. Kathryn Sullivan—I am reminded of how much our Museum celebrates and reflects the contributions women make to science. Over a century ago, our institution was built upon the deeded collection of a young female naturalist whose life-long fascination of the natural world led to our city’s first science museum. Today, science education remains at the core of our mission; we strive every day to foster understanding and appreciation of our region’s rich natural and cultural history. And with that, we seek to inspire a curiosity about science in all of our audiences, especially those underrepresented in the field. I am proud to lead our Museum as a female scientist. While I no longer conduct research, I still enjoy sharing my passion for paleontology and encouraging others to learn more about it. Last month, I sat down with our young “Can You Dig It” campers to discuss my field work experiences and answer their terrific questions. It was a chance to nurture their enthusiasm and to show them all, especially the little girls, that scientists come in many forms. Female scientists also serve in several additional key roles in our organization. For example, our Education Director Felicia Van Stolk is trained in marine biology and conservation ecology. Felicia’s scientific background informs both the Museum’s school programs and public offerings, including our Rio Theatre Series and monthly Naturalist Night lectures. We are also pleased to have several women in science on our Board, including the President of our Board of Directors, Donna Meyers. Donna’s background in biology informs her work restoring coastal habitats. She applies various sciences, including hydrology and engineering, in designing and managing projects that support coastal restoration. To learn more about Donna, read about her in this month’s Faces of the Museum. Our Museum is a place that nurtures and represents women’s experience and interest in the sciences. We are thrilled to showcase prominent female scientists and their work through our public programs. Our previous Rio Theatre speaker, Dr. Allison Galloway, is a nationally known forensic pathologist whose contributions have helped to solve crimes and understand human decomposition. 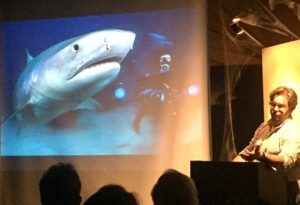 Her fascinating talk examined how her work utilizes many scientific disciplines, as well as a deep understanding of the natural world, in order to find the answers she seeks. We are honored to include yet another inspirational scientist, Dr. Sullivan, in our Rio speaker series. Dr. Sullivan was the first American woman to walk in space as a member of the Challenger crew in October 1984, and she has also explored the deep waters of the Pacific in the submersible Alvin. She will share her remarkable experiences, “From the Sea to the Stars” exploring two frontiers of science with us on October 11, which marks the 33rd anniversary of her historic walk. I hope you will join us to hear from such a preeminent scientist. It is through programs like this that we stoke our own curiosity and seek to ignite the same fascination of the natural world that gave rise to our founder’s collection and will perhaps excite a future groundbreaking scientist among us. Ever since I was a child, the arrival of August has always signaled that another school year is just around the corner. Here at the Museum, our Education team is leading our last week of Summer Camp and beginning to prepare for this fall’s school programs. Excitement is in the air as we look forward to the return of school groups and our wonderful docent volunteers. The Museum’s volunteers are among our strongest ambassadors, helping us to foster a love of nature through their enthusiasm for natural history and greatly expanding our capacity to fulfill our mission. This past year we expanded our educational programs, introduced great new gallery experiences and reached over 32,000 children and adults through our programming, exhibits and outreach. That’s a 17% increase in attendance over last year’s record! We honestly could not have accomplished this success without our terrific volunteers. Together they provided us with over 3,600 hours of service; to put that into perspective, a full-time employee works 2,080 hours per year. For our small organization, this support made a huge impact on what we were able to accomplish. However, the value of our volunteers goes way beyond the number of hours they serve. Volunteers enrich the experience of our visitors and members through their interactions. 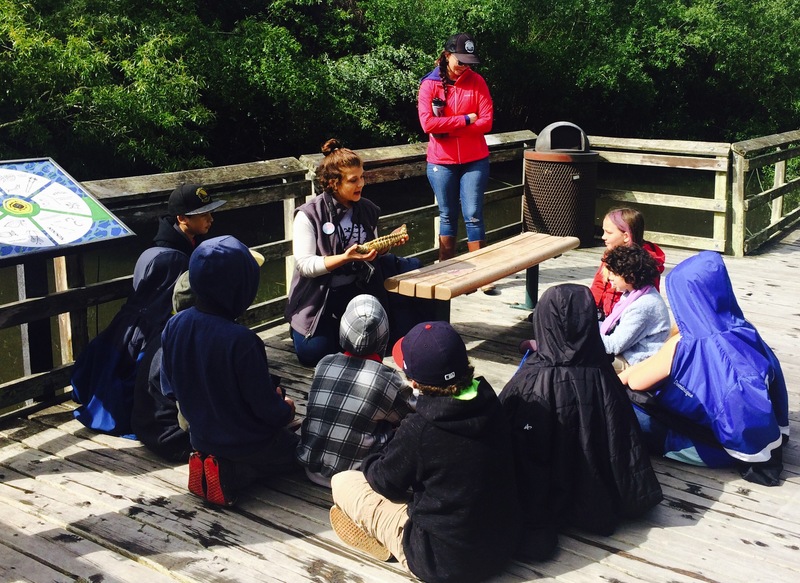 Our docents (school program volunteers) spark school children’s excitement about the natural world by leading our Ohlone and “Our Animal Neighbors” Museum-based programs and our nature-based school trips in Neary Lagoon and Pogonip. With our specimens and artifacts—as well as local natural spaces like the Museum’s Native Garden—docents facilitate first-hand experiences that bring to life scientific lessons children learn in the classroom. 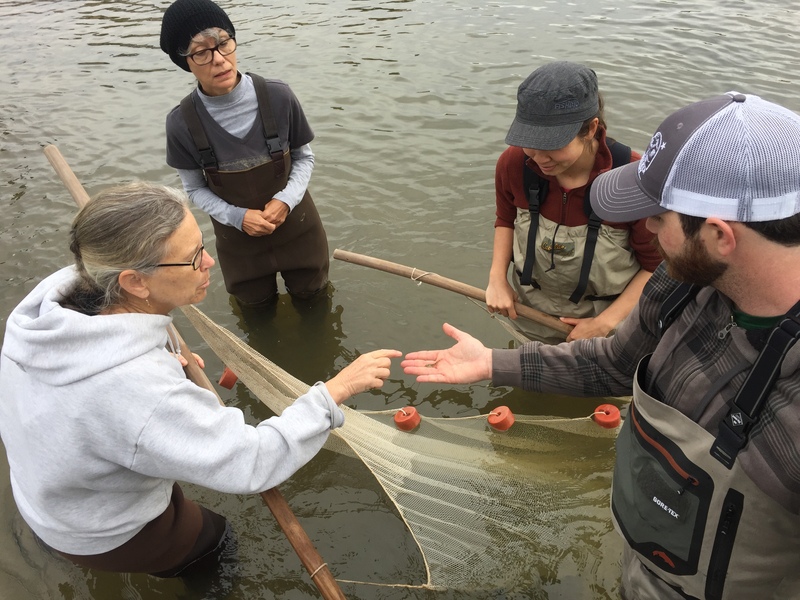 They engage students in dynamic experiences and ignite a greater fascination in the natural world, which we hope will lead to future naturalists, scientists and better-informed citizens. This hope extends far beyond our school programs; it is nurtured in all of our programming. Our volunteers are important partners in helping us to build strong connections between our visitors and nature. We’re lucky to have folks like Emily Harmon, who has been a leader in our Summer Camps, which end August 4. She is featured in this month’s Faces of the Museum, and personifies how community support can help strengthen our programming. Similarly, volunteers engage the community by participating in Naturalist Nights, walks and workshops, and our bi-annual Rio Theatre lecture series. These events form the foundation of our public programming, and would hardly be as engaging as they are without volunteers greeting guests, interpreting concepts, highlighting our collections, and providing a host of other support. We hope you might consider joining our Museum family as a volunteer. We welcome a wide range of folks, from retirees to teenagers and every age in between. Docents must be 18 years of age, but those as young as 12 who are looking for a fun way to serve our community can also help us out. If you have a love of nature and wish to share it with others, please join us for our fall volunteer training. All we require is your enthusiasm and availability—we’ll teach you the rest! Learn more. Do you have fond memories of attending Summer Camp as a child? If even just for a couple of weeks, camp often provides a special opportunity to learn as much about ourselves as we learn about nature. Perhaps you swam in a lake for the first time, discovered you were good at arts and crafts, or spotted an animal in the wild that you had only seen in picture books. And, if you were lucky, perhaps you met a few new friends along the way and kept in touch over the years. Part of what makes Summer Camp so exciting is the chance to travel far away from home to experience places that look, smell and sound different from where we live. But in Santa Cruz County, we are fortunate to be surrounded by the ocean, the forest and other ecosystems that offer endless possibilities for exploring. 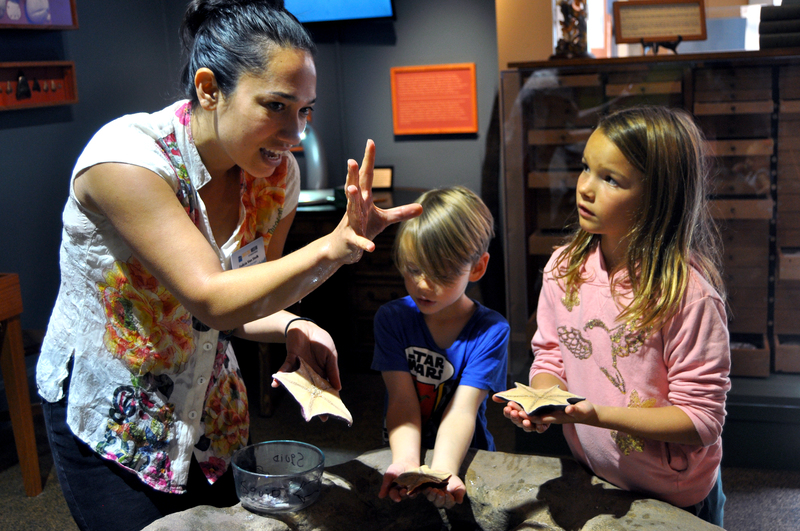 This summer, the Museum is offering two weeklong Summer Camps — Winged and Wild and Can You Dig It? — for budding naturalists in grades Kindergarten through 5th who are seeking some scientific adventure in their own backyards. Our campers will explore bird habitats, examine bug species, excavate fossils and rocks, play games and make crafts. The Museum’s education team has put together inventive and interactive opportunities to observe the natural wonders that exist right outside the Museum and at our local state parks and beaches. While our campers have fun outdoors, the Museum is once again bringing nature indoors for appreciation and contemplation. Building on the popularity of our annual The Art of Nature exhibit each spring, the Museum is launching our first Summer Art Series from July to September. Each month, the Museum will feature a different Santa Cruz artist whose works depict and interpret nature through diverse media. Our three — Marlene Mirrasou (July), Sandra Cherk (August), and Stephanie Martin (September) — will attend free First Friday receptions during the month their works are on display. We hope you’ll stop by, take a look and mingle with the artists. Additionally, on the day after her First Friday reception, Marlene Mirrasou will host a Cyanotype Workshop on July 8 inside the Museum and in our Native Plant Garden. She will teach us how to make photographs of plants using sunlight rather than our cameras. It’s yet another chance for us all — regardless of age — to simultaneously recreate and learn during these summer months that always fly by too quickly. A museum is many things — it is a keeper of collections and the important stories they hold, a space to explore exhibits with loved ones, and a community center to come together to learn and discover through engaging programs, just to name a few. In our case, it is also a strong team of talented individuals who strive to share its mission every day. 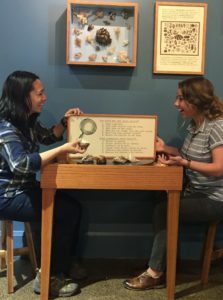 I am so proud of the creative and dedicated team of staff and volunteers we have here at the Museum, such as Education Manager Felicia Van Stolk and Museum Programs Coordinator Marisa Gomez (pictured here having fun in the Santa Cruz Naturalist Exhibit.) I hope you will take an opportunity to get to know us better through our Faces of the Museum blog, which this month features our newest team member, Development Manager Ami Davis. Throughout my two years leading our Museum, I have encouraged my team to expand our programming in new directions, establish and strengthen community partnerships and seek fresh ways to connect our community to nature and fulfill our mission. This month they have outdone themselves! In June, we will have something for everyone, from compelling adult programs like Dr. Alison Galloway’s talk “Life of the Dead: The Natural History of Human Decomposition” at the Rio Theatre on June 6 to great family friendly events like our free Summer Kick-Off Festival at the Museum and surrounding Tyrrell Park on June 10. We also offering a guided hike of the Bonny Doon Ecological Reserve, a Naturalist Night talk on our diverse North Coast, and the opportunity to participate in helping restore Seabright Beach to its pristine glory. In addition, we are starting a new slate of summer camps with a week-long “Future Scientists Camp” in late June through Cabrillo Extension in Watsonville and “Winged and Wild” and “Can You Dig It?” nature-based camps at the Museum in July and August. Whew, the summer is bursting with opportunities to connect to our region’s natural wonders! This month also marks the end of our wonderful scientific illustration exhibit The Art of Nature. Come by before June 18 to catch this great show — I recommend visiting on June 2 during our First Friday Art Tour event, which will feature scientific illustration demonstrations by exhibit artist Mattias Lanas. First Fridays are a special way to see this exhibit, complete with libations, nibbles and exhibit artists on hand to talk about their inspirations and technique. I hope you’ll join us on one of these upcoming programs or simply stop by and say hello to our team at the Museum. We’d love to hear from you! 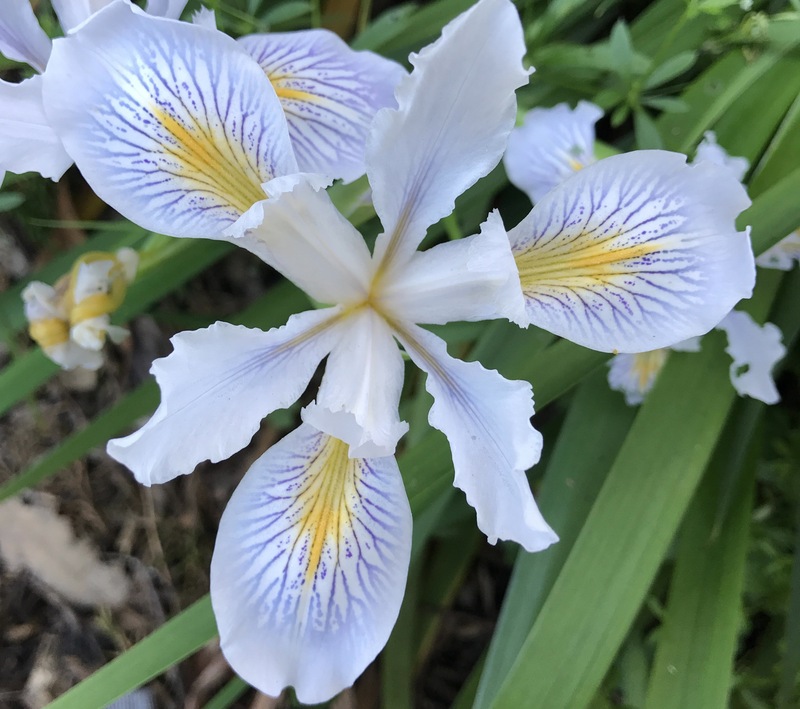 With the recent rains, spring is in full bloom and it is a wonderful time to discover new natural beauty all around us. Here at the Museum, our garden is alive with color and the sound of happy pollinators. Each day there is something new to observe. Throughout May and June, our programs are focusing on the natural world through a wide variety of lenses, from the historic to the artistic to the forensic. We rang in May with the premiere of the new book “Santa Cruz’s Seabright” which chronicles the evolution of the Museum’s neighborhood, whose story has always been intricately tied to the nature around it. We are so grateful to the book’s authors, Randall Brown and Traci Bliss, and the Seabright Neighborhood Association for designating the Museum as the beneficiary of the book’s proceeds. 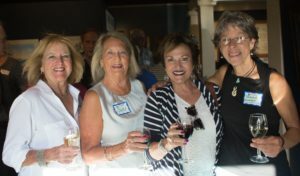 The Museum, which is featured in the book as a longtime Seabright landmark, was proud to host a launch party and reading event at the Museum and we are now selling the book in our gift store. On May 18, we are offering a new DIY workshop for the green-minded consumer who is interested in pampering themselves with handmade, eco-friendly products. Our Eco-Friendly Workshop & Mixer will be a fun way to create your own bath and body products from organic ingredients while enjoying good company and yummy libations after-hours at the Museum. As we look to June, we are thrilled to announce our next Rio Theater talk: On June 6, Dr. Alison Galloway, UCSC Professor of Anthropology whose work in forensic anthropology has earned her high acclaim, will give a talk titled “Life of the Dead: The Natural History of Human Decomposition.” Dr. Galloway will explore what happens after death, the intricate ecosystem of insects, bacteria and natural forces that continue to live after a body dies. She will reveal the scientific methods she employs when determining what impact the natural world has on a decaying body and what circumstances may have contributed to the death. On June 10, we will celebrate the coming of summer with our Summer Kick-Off Festival. Museum admission will be free all day, and Tyrrell Park will be full of engaging activities, live music, and live animal presentations from 10am to 5pm. It promises to be a day of family science-fun both outside in the sunshine and within our Museum galleries. It’s a great time to be part of the Museum family – with so many upcoming programs to enjoy, there is something for everyone! We hope during our May Membership Drive that you’ll consider renewing your membership or deepening your relationship with us. Please come by and see us soon! For those of us working at the Museum, there is nothing more satisfying than when we witness someone having an “ah-ha” moment as they learn something new about nature or observe it in action. That sense of discovery and the excitement that comes with a deeper understanding of how the natural world works are the foundational elements of our mission and at the very heart of science itself. Science is far more than a body of knowledge; it is a dynamic, ongoing process which enables us to piece together many individual observations and tested hypotheses to comprehensively understand our universe – past, present and future. It is a global endeavor that is continually refining and expanding our knowledge of the natural world. Science has no borders; people all over the world participate in science, sometimes even together, adding to our ever-growing understanding. From April through June, we are celebrating Citizen Science, the growing movement through which scientists and non-scientists alike make observations, collect data and help answer questions about the world around us. Opportunities to participate in citizen science range from citizens independently recording their observations to organized projects led by professional scientists. Projects can involve a single person in a single day to large scale, multi-decade collaborations across the globe. Public participation, particularly projects involving thousands of individuals contributing data, helps answer questions that a single scientist could never tackle alone. 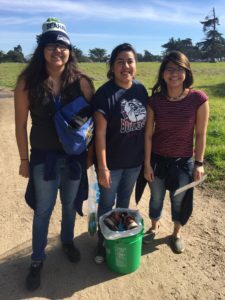 We hope you’ll consider joining us on Earth Day, April 22, and delve first-hand into citizen science with our first BioBlitz along the San Lorenzo River. Together with the Coastal Watershed Council, we are hosting this fun outdoor ecological survey. 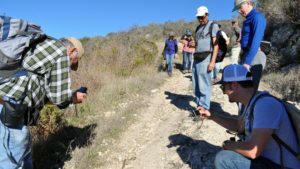 Participants of all ages will have the opportunity, alongside experts, to identify, observe and document plants and animals living on the water’s edge. Together, we will provide a natural “snapshot” of the biodiversity along a segment of our river. What better way to celebrate Earth Day and science itself than to join us in a community project exploring and documenting the biodiversity of the San Lorenzo. In addition to our upcoming BioBlitz, our monthly Naturalist Night on April 20 will also focus on Citizen Science. 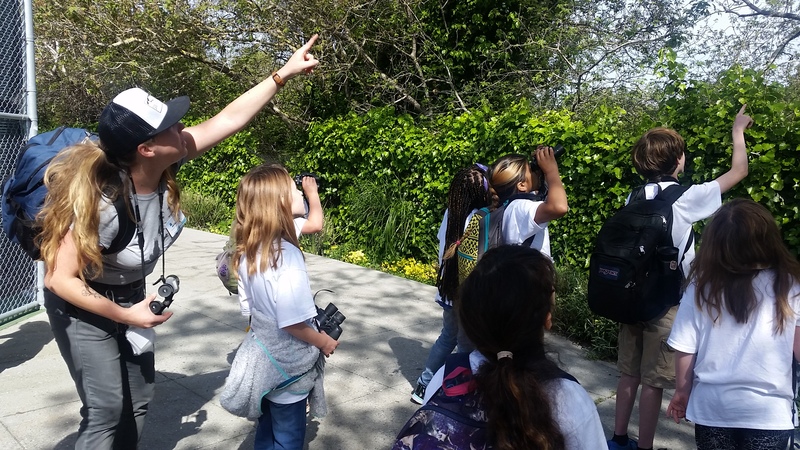 Come meet Alison Young, Citizen Science Engagement Coordinator at the California Academy of the Sciences, as she discusses her organization’s efforts to encourage citizen science up and down the coast. I hope to see you at this inspiring program as we learn more about some of the wonderful project opportunities available in our region. We live in a foodie culture. Intellectual fascination with the ingredients, techniques and traditions surrounding food has exploded in this era of celebrity chefs, farm-to-table restaurants, and highly creative handcrafting of everything from jam to beer. Inspired by this enthusiasm and our regional bounty, the Museum has dedicated public programming in February and March to exploring the natural history of food. Following February’s Naturalist Night talk on organic farming principles, State Park Ranger Alex Tabone joined Rick Flores, Curator of California Native Plant Collection at the UC Santa Cruz Arboretum and Associate of the Amah Mutsun Land Trust, for a special workshop on native foods and preparations. We were also so grateful to have Chairman Valentin Lopez from the Amah Mutsun Tribal Band honor us with his presence and cultural insights. 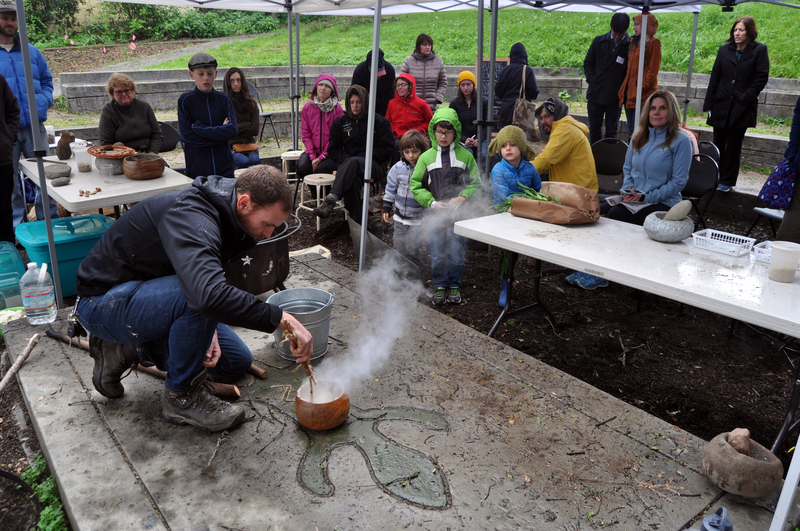 The engaged audience watched demonstrations of the traditional, indigenous methods of preparing manzanita cider, roasted soaproot, roasted grass seeds, and acorn porridge. On March 21st, the Museum is partnering with Mutari Chocolate, to reveal what it takes to make a delicious cup of the ultimate comfort drink, hot chocolate. During the “Bean to Cup” presentation, Mutari’s owners, Katy Oursler and Stephen Beaumier, will educate us about the origins and history of chocolate making. Then they will lead us in a guided tasting of their delicious sipping chocolate! Then on March 30rd, the leaders of the Santa Cruz Heritage Food Project — Sierra Ryan, Liz Birnbaum, Jody Biergiel Colclough and Katie Hansen — will bring us up to speed on more than four years of research into the stories behind local foods such as beets, berries and wine grapes. And we’re very excited to welcome the Teen Kitchen Project for a special food demonstration before the talk. Santa Cruz is synonymous with a menu of culinary delights — from pop-up restaurants to small-batch artisanal foods emphasizing local ingredients. We hope that this month you will join us in connecting to the natural history of some of our favorite foods and seeing them in a whole new way. Natural history museums are as much about the past as they are about the future. It’s difficult to fully appreciate the present or contemplate the future without an understanding of our history. That’s one reason among many I was so grateful for the community’s participation in a day of remembrance and service in honor of our founder, lighthouse keeper and naturalist Laura Hecox. On Sunday, January 29th, on what would have been Laura’s 163rd birthday, two dozen community members and Museum supporters joined Hecox relatives to celebrate her memory by dedicating a new headstone at her final resting place. Bill and Brigid Simpkins of Santa Cruz generously donated the headstone depicting the lighthouse and crashing surf where Laura spent most of her life. 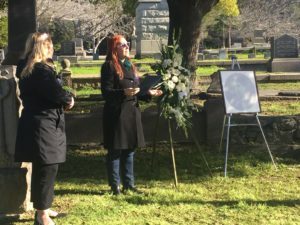 At Santa Cruz Memorial Cemetery, Mayor Cynthia Chase read a proclamation from the City of Santa Cruz designating January 29th as Laura Hecox Day. And I had the opportunity to talk about the love Laura had for the natural world, collecting shells, and other specimens and artifacts that formed the basis of our Museum, which opened in 1905 while she was still our city’s lightkeeper. 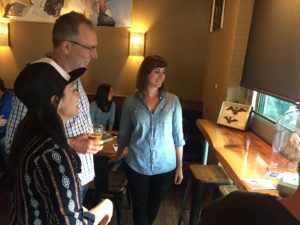 Laura’s life served as inspiration for the Santa Cruz Naturalist exhibit that opened in June 2016, the first new permanent addition to the Museum’s galleries in over 20 years. After the graveside ceremony, the Museum led a clean-up project in Lighthouse Field. Laura moved to Lighthouse Field at age 15 when her father assumed the role of the first lightkeeper of the then-new Santa Cruz Lighthouse. She took over her father’s position after his death and continued in that role through most of her life, living in the original lighthouse. Today, in its place, the Mark Abbott Lighthouse now guides vessels around Lighthouse Point. But the field across from West Cliff Drive remains open space full of opportunities to explore. About three dozen volunteers collected over 100 pounds of trash from the field, which was a particularly fitting way to honor Laura and her commitment to stewarding the natural world. The curiosity and appreciation of nature that defined Laura’s life also informs our desire to be forward-thinking about the future of our environment. 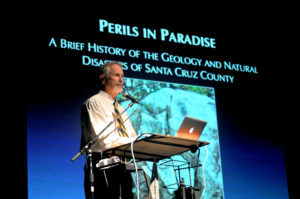 Just 10 days before Laura’s birthday, the Museum was delighted to host a sold-out event at the Rio Theatre featuring renowned UCSC geologist Gary Griggs, whose riveting presentation titled “Perils in Paradise” explored Santa Cruz County’s history of and vulnerability to natural disasters. Dr. Griggs captivated the 550-member audience with an engaging overview of geological processes and a historical look at the most impactful natural disasters of our region, one where earthquakes, landslides, floods, fires and other calamities are an ever-present danger. As several storms wreaked havoc across the county on local cliffs, tributaries and roads, Dr. Griggs’ presentation served as a timely reminder that landmark events such as the 1955 and 1982 floods, or the 1989 Loma Prieta earthquake, have long shaped our region and that we cannot control nature. That’s a key reason the Museum exists — to share an understanding of the awesomeness of nature and inspire stewardship of it. Looking ahead to the spring, we have many opportunities to connect our community to nature in innovative, meaningful ways. In February and March, we will offer several events celebrating the natural history of food. And in April, we will launch our first-ever Spring Camp and welcome back the popular The Art of Nature scientific illustration exhibit. More can be found about our upcoming programming and exhibits on our website. I hope you will join me at some of these exciting opportunities in the coming months. As we enter a fresh year, I appreciate this time to reflect on the exciting achievements our Museum has made in 2016. I am also grateful to the many dedicated folks — staff, board members, volunteers and donors — who lent a hand (or two) in our ongoing transformation and evolution as an organization. January also is a time to look forward to the many initiatives and changes on the horizon. This month, I’m starting a new blog called Contemplate in our monthly newsletter to keep our community up to date on the purposeful work undertaken by our team here to fulfill our mission. On Dec. 20, we unveiled our new entrance sign, which will be seen by the almost 20,000 visitors we welcome through our doors each year. Thousands more will see it as they make their way to nearby Seabright Beach, the Yacht Harbor or the Beach Boardwalk. The metal sign created by Santa Cruz artist Alan Ziegler features our name and logo but represents much more than just a new face to the Museum. It marks a fresh start for this precious place founded 111 years ago as Santa Cruz’s first public museum. We are very proud of our long history. Established in 1905, our museum lived in several spaces until it moved to its current home here in this lovely Carnegie Library in the 1950s. In 2009, our organization began the large endeavor of transitioning from City ownership to becoming an independent, community-supported nonprofit museum. 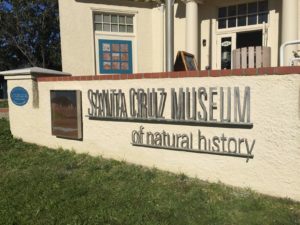 This included a name change in 2013 to the Santa Cruz Museum of Natural History. Our new sign showcases that name and reflects the time of revitalization which we are now undertaking. With the support of our board, donors, neighbors and volunteers, the Museum staff and I have been working hard to make the visitor experience more dynamic and engaging, while ensuring our educational programming and events are reaching new audiences. We continue to strive to connect our community’s members and visitors with our region’s natural and cultural history in personal, meaningful ways. In the past three years, we have seen a 15 percent increase in general admission — this does not include school groups, member visits, or special events — just the folks who popped in to see what we are all about. And I’m also very excited to tell you the number of new memberships rose 13 percent in 2016 year over 2015. 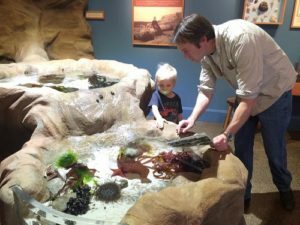 Our Santa Cruz Naturalist exhibit with its interactive intertidal touch pools and naturalist lab, our first new permanent exhibit in over 20 years. Rotating special exhibits, including two premieres: Photographer Jason Bradley’s “California: At the Water’s Edge” and local historian Frank Perry’s “Big Basin’s Auto Tree: One Tree, Many Stories.” We also had a Mobile Museum event at Lupulo Craft Beer House in October ahead of a special sold-out Museum of the Macabre event at the Museum in celebration of Halloween. Engaging Naturalist talks and special events, such as the fantastic presentation on big cats by Dr. Chris Wilmers in May and the exciting upcoming talk by Dr. Gary Griggs on Jan. 19 about our region’s history and potential for natural disasters, within the larger climate change context. In the coming year, we also will celebrate the birthday of our founder Laura Hecox on Jan. 29 by honoring a new gravestone marking her final resting place. In April, we will feature the 28th installment of our annual exhibit of scientific illustration as well as a new exhibit created by the Santa Cruz Kids in Nature program. We also will premiere a new book about the history of Seabright here in April and are proud to have been a part of this exciting publication created by the Seabright Neighborhood Association. This is a wonderful time for our Museum. We have so much to celebrate and there is great work yet to be done. We welcome your involvement and feedback in helping us maintain the Museum’s role as irreplaceable part of our community. And if you are not already a member, we would love to have you join us at santacruzmuseum.org.